Its been a long time in the development of this perfume house and I am so very excited to release the website. A special thanks to my beautiful and supportive partner Catamara for all the work she has done to help get this buisness going, as well as all of my supportive friends. Special thanks to my models Jon, and Benjamin, as well as my friend Morgan who helped with some of the photos. I also want to thank my first customers who really gave me the desire to move forward, as well as Max the perfume blogger who really understood where these perfumes were coming from and gave top notch reviews. Also a special thanks to Valerie Heron for her beautiful art and creating our logo and Darla for helping me with the amazing labels as always! Before we launched the site we had bottles reserved and that was a wonderful feeling… And a great start. 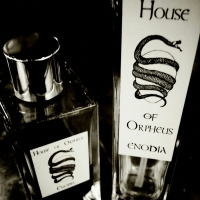 About our label and logo, Orpheus was an ancient Greek poet, prophet, and mystic who inspired the Orphic mystery tradition and brought us the Orphic hymns. The Hymns where prayers to the Greek gods and utilized aromatic incense for each of the hymns. Many of the types of incense are ingredients in our perfumes, and the classical mystery traditions of this world are a great muse to many of my perfumes. 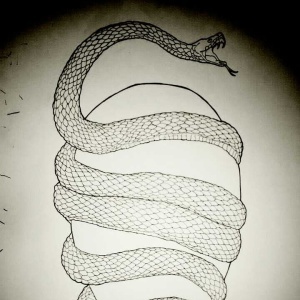 The Orphic egg is the symbol for the Orphic mysteries and is also our logo because it represents the great cosmogeny, the origin of all that is ushering forth from the great cosmic egg. To me this represented a powerful and auspicious beginning and a continuous symbol of the creative process that is high perfuming. So excited for your launch! May you be blessed with prosperity and fulfillment! Thanks so much Jimbo! I’ve loved sharing my work with you! Best of luck with this exiting new project Marcus! As always, you bring magical depth and fine craftsmanship to the genre. I can’t wait to try your new products! May the fortunes smile upon you my friend.